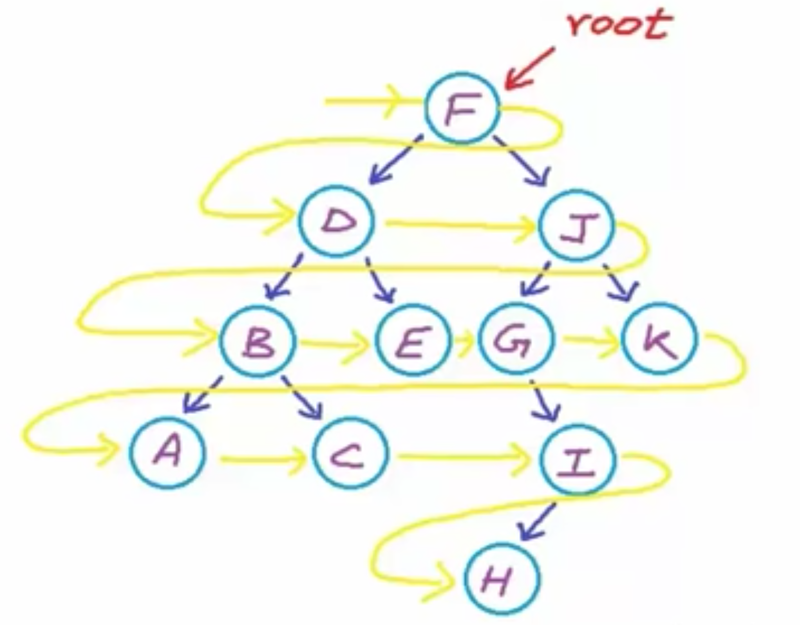 Place the root node in Queue. Iterate Queue until queue becomes empty. Dequeue the first node from Queue and print the value of that node. Next Enqueue the child nodes left and right nodes inside same queue. Repeat the process until each leaf node. 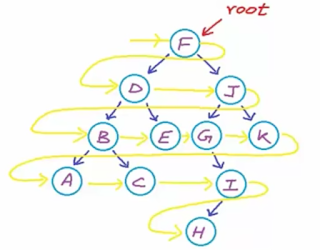 Here in above example first we need to place 'F' node inside queue. Next in loop we need to print 'F' and get the child nodes 'D' and 'J' and enqueue inside same queue. Repeat the process until all leaf nodes and when Queue becomes empty.